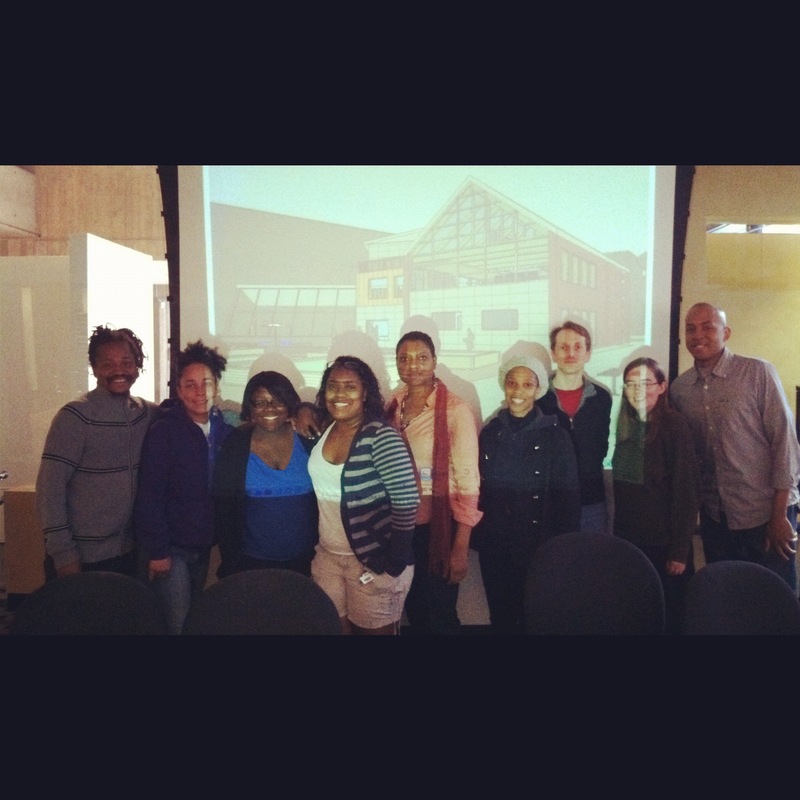 UNLR’s 90 Windsor Street Project Awarded Abatement Grant to help achieve it’s mission! UNLR was recently granted an monetary grant award by the US Environmental Protection Agency (US EPA) of $200,000 for Brownfields cleanup. A brownfield is a site that was abandoned or underused, usually a former industrial or commercial facility, that is now available for re-use. The US EPA set aside funds for sites like ours that need to have hazardous materials removed. In our case, these include heavy metals, inorganic contaminants, and polycyclic aromatic hydrocarbons that were found at 90 Windsor Street and will be removed to prevent contamination. 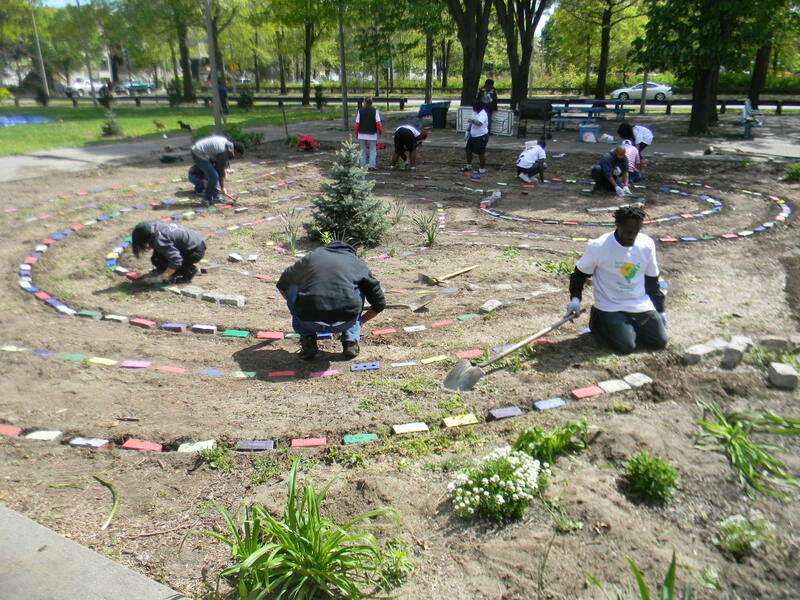 A special shot out to local residents, UNLR members, the City of Boston and the Boston Area Youth Organizing Project (BYOP) crew for coming out and supporting the community in both helping to put together the heart labyrinth, as well as beautify the neighboorhood. Love yall and thanks for making the weekend a tremendous success. Shanelle and Sonia are the bomd digidi (not in the dictionary) youth visionaries who had the vision around what they thought was important in the neighborhood and could facilitate change and bring love. Thank you for all of your hard work and most of all your committment! In 2010, BAC, selected UNLR for one of its Gateway Design Build Projects. With the project in full gear, BAC Students and members of UNLR, including two local youth leaders, gear up and meet up to discuss the cool new designs, and their collective strategy to bring the 90 Windsor Street project from design to construction. The team discussed potential and future partners, sources of funding, as well as identifying individuals who will serve on its advisory team. Follow the BAC’s work and see the most recent designs visit http://90windsor.com. For questions related to the project email avillageatwork@wordpress.com. Blogs Got A Brand New Look! We are reaching high in order to keep our friends and supporters updated. Our blog is currently under construction and we will be launching an official udpated version on April 15, 2012. Stay tuned, stay connected. If you are really inspired, let us know if you have ideas for getting the word out about what we are up to! Email us at avillageatwork@wordpress.com. So, Exciting! The National Organization of Minority Architects (NOMA) Annual Service Day selected 90 Windsor Street as their 2010 service day project. Also assisted by the Boston Architectural College (BAC), design students, volunteers, and local youth helped to give a new face to the future community center site. Installments of murals representing neighborhood desires for the use of the space and an information kiosk directly in front to allow for displays of historical neighborhood information as well as neighborhood activities, and project updates. A Banner and color flags were installed along Melnea Cass Blvd. as well to invite folks to share the vision for the future site of the Cultural Agri-Arts Center and an involved and thriving neighborhood. The project finale will include another window installation on what is currently the front side of the building and a portable kiosk that can be used at local events. Thanks NOMA and BAC for your continued committment!